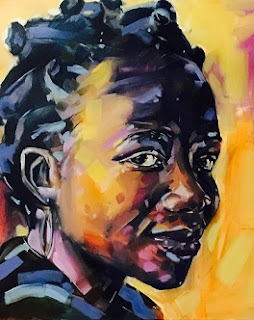 Faces of Durban by Janine Jollands is an exhibition coming to artSPACEdurban on November 19. “This portrait series draws inspiration from the faces of Durban and the cosmopolitan nature of my city. As a proud and passionate child of Africa, I find beauty in the diversity of her people and the vibrancy of her landscapes,” explains Jollands. “My work is less figurative and more abstract, using colour and mark-making to convey the energy, spirit and character of each individual. From the Durban surfer dude to the Afro's enthusiast to the sassy Clicks cashier, these portraits hope to encapsulate the vigour and life of this compelling city I call home,” she adds.